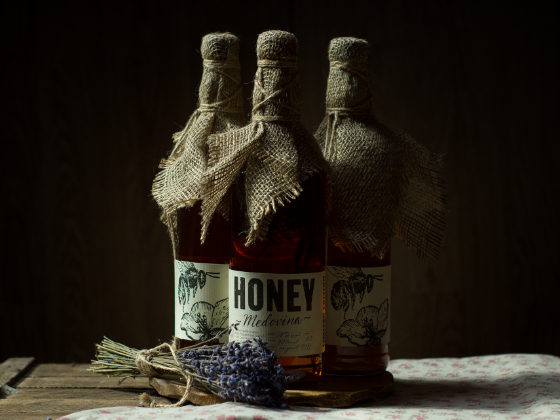 "Honey" mead is a liquid gold of alcohol beverages. 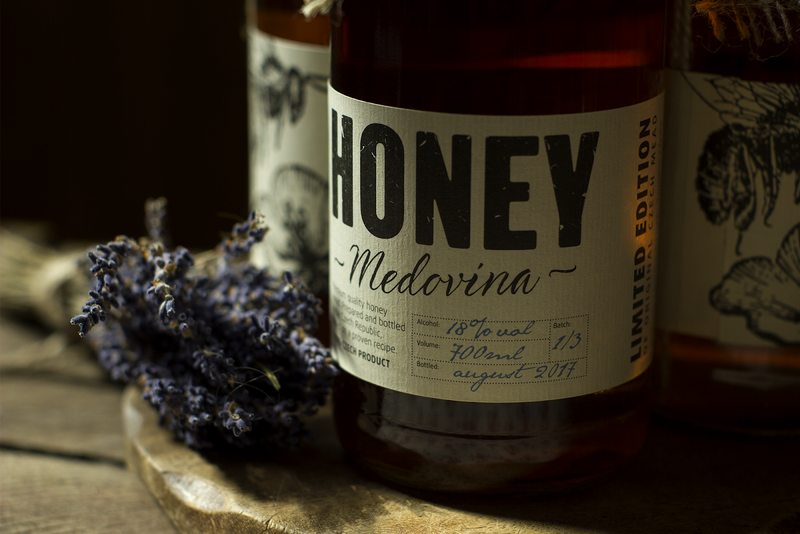 After a long fermentation process of the best quality Czech honey mead inhales a distinctive flower flavour and a slightly bitter alcohol taste. Golden colour of the beverage reminds a fresh liquid honey right after the harvesting. 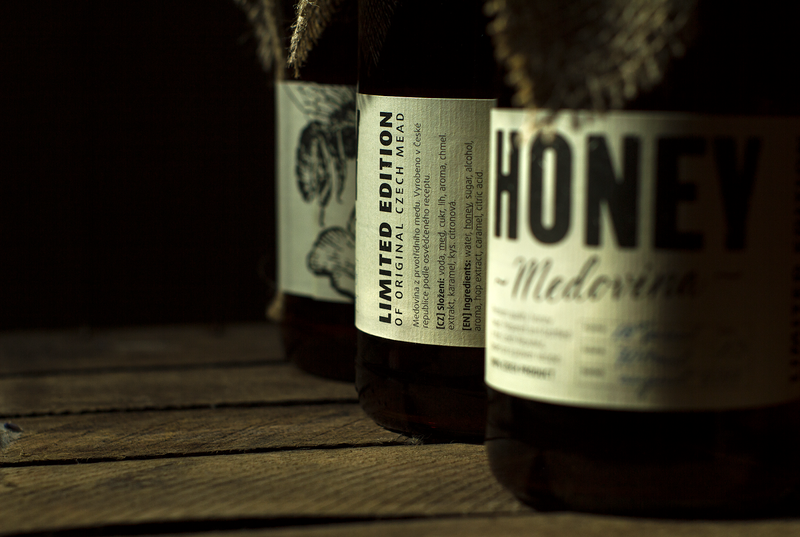 This limited edition of mead was produced by "LO'R special drinks" alcohol beverage company. 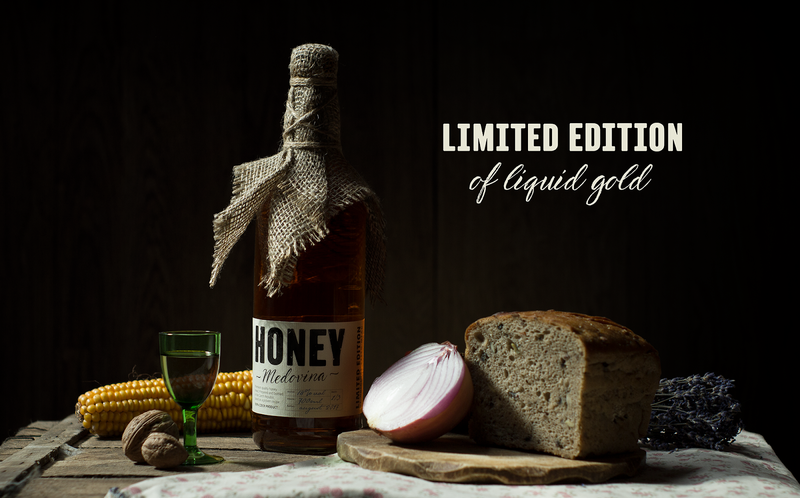 After more than 10 years of producing meads it was decided to make a special edition based on Czech traditional recipe. So it was necessary to develop a label design and a distinguished look of the product. An authentic "village design" of honey jars became the main reference for this task. Typical handwritten etiquette around a jar with a big typo of honey name, year of producing and a piece of sackcloth on a lid - just minimum of information and details are needed to achieve a home-made traditional look. I decided to reflect on it and to use a piece of classic sackcloth with an original way of tying by an organic thread. The sackcloth is tied the way that connects top of a bottle with its label. Opening a bottle you tear the label in a particular place. This action creates a feeling of opening something important. Something you can't bring back. The label also reflects on a classic rustic etiquettes and honestly and proudly tells what is inside. 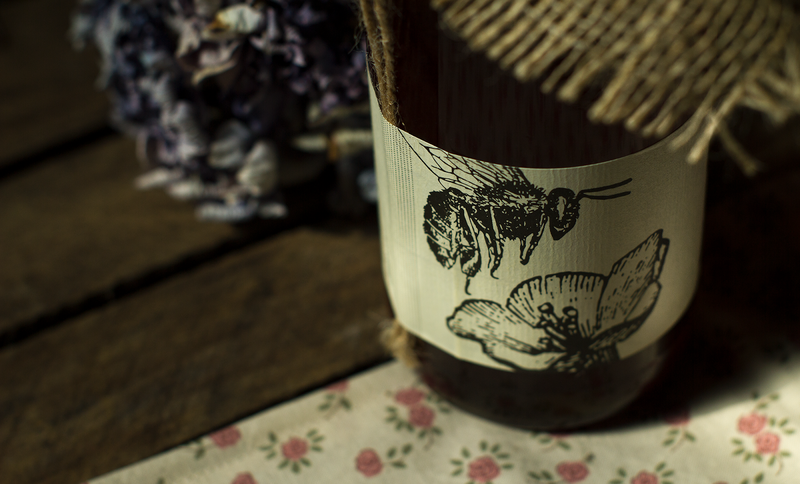 Engrave-style illustration of a bee and a flower supports the feeling of a farm natural product. Label is looped on a bottle like a belt.